Many modern health “authorities” credit vaccines for the decline in disease and assure us that vaccines are safe and effective. But is that true? 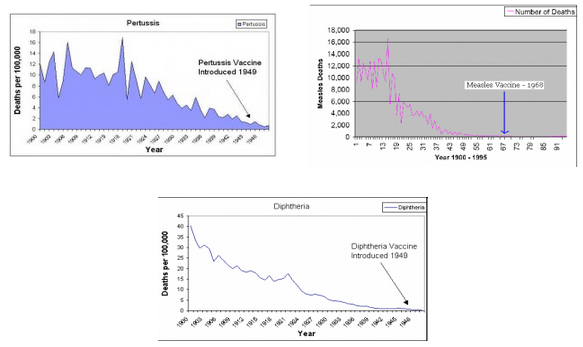 Take a close look at the following graphs and you will see the reduction in deaths from pertussis (whooping cough), diphtheria, polio and measles. Notice that these diseases were virtually wiped out before the introduction of their respective vaccines! Rather the decrease in these childhood maladies weren’t due to vaccinations (as you may have been told), but were mainly the result of improved public health and hygiene (including sanitation and cleaner drinking water) during that time. An interesting side note concerning polio involves some “shady” behavior by the Centers for Disease Control (CDC); in 1958, after the introduction of the live polio vaccine, they changed the definition of “polio.” Cases of inflammation of the membrane that protects the brain and spinal neuron cells, causing muscular weakness and pain (but not paralysis) were no longer classified as “polio”; they were now to be referred to as aseptic meningitis, even if the polio virus was present. Reported cases of aseptic meningitis went from near zero to thousands, and polio cases dropped the same amount. Then, later in 1958, the CDC changed the definition of “polio” again!! All cases with classic polio paralytic symptoms were to be called acute flaccid paralysis. In 1960, the CDC triumphantly declared large parts of the world as “polio free,” while the newly created acute flaccid paralysis “mysteriously” became quite common. In 1977, Jonas Salk, the creator of the polio vaccine, testified before a Senate subcommittee that “all polio outbreaks since 1961 were caused by the oral polio vaccine.” In 1985, the CDC reported that 87% of the cases of polio in the USA between 1973 and 1983 were caused by the vaccine and most of the reported cases occurred in fully immunized individuals. Despite indisputable proof that vaccines do nothing to prevent disease, brainwashed pediatricians insist that it is unwise and a health risk to have unvaccinated children. Sadly, nothing could be further from the truth. The fact is that vaccines have been a hoax from their inception. Edward Jenner, known as the “father of vaccines,” was not a scientist but a huckster and Louis Pasteur, the father of the germ theory of disease, was nothing more than a charlatan out to make a buck. I have heard these two men referred to as the “Barnum & Bailey” of medicine. As far as real science is concerned, there is no evidence that you should vaccinate yourself or your children, ever, for any reason. I am well aware that vaccines are considered “sacred” to most physicians. As a matter of fact, questioning them is tantamount to blasphemy. I can assure you that I would not challenge the efficacy and safety of something as “holy” as vaccines unless I were certain, beyond a shadow of a doubt, that I am accurate when I state that vaccines are not safe (unless you change the definition of “safe” to include death, numerous diseases and brain damage). 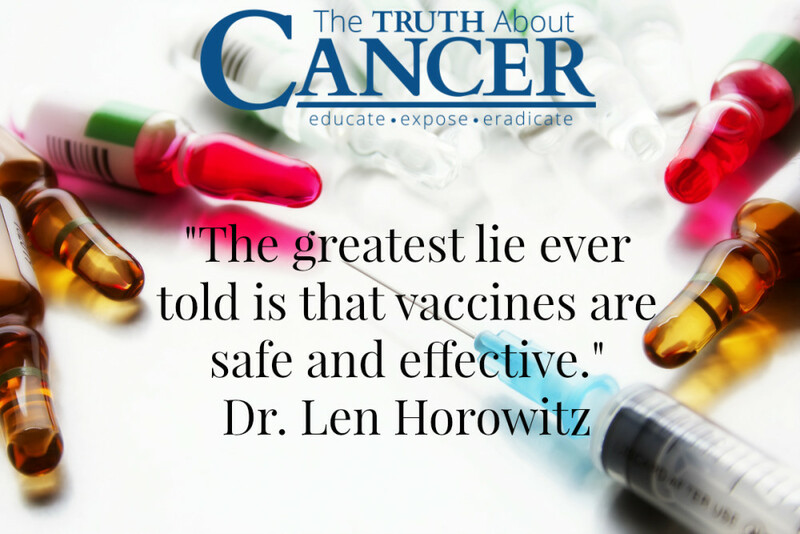 The greatest lie ever told is that vaccines are safe and effective. But don’t take Dr. Horowitz’s word for it! Check out the statistics for yourself; from 1990 to 2008, the US Government recorded 238,755 vaccine related injuries and deaths, according to the VAERS database. Since the FDA estimates that 90% of vaccine reactions go unrecorded, we can extrapolate that during the past 18 years, there have actually been almost 2.4 million vaccine related injuries and deaths!! But that’s not surprising, considering the toxic ingredients in most vaccines. Oftentimes described as “toxic cocktails,” many vaccines contain XE “toxic cocktails” which are live and dead animal viruses that have been cultured in monkey kidney tissue, cow tissue, goat tissue, pig tissue, and even aborted human fetuses. Vaccines contain any combination of the following: thimerosal (a mercury derivative), aluminum, formaldehyde (carcinogenic embalming fluid), phenol, ethylene glycol (antifreeze), live viruses, bacteria, and acetone, among other things. What if I were to take some mercury, formaldehyde, aluminum, antifreeze, and live viruses cultured in dead animal tissue, then mix them together with some peanut butter and spread it on a piece of bread for my children to eat for a snack? Would you think I was a good parent? What if I were to tell you, “This will keep them from getting sick”? Would you question my sanity? The odds are that I would be arrested for child abuse. However, when doctors inject our kids with the same ingredients (minus the bread and peanut butter) and tell us, “This will keep them from getting sick,” most of us don’t even give it a second thought. What if you call your family physician and tell him you are going to inject your baby with mercury, aluminum, and formaldehyde and that you are wondering what the “safe dosage” was for these ingredients? Well, right after he calls CPS, he will probably call the police! You see, there is no safe dosage because these are all lethal substances that are also potentially carcinogenic. But mercury derivatives, aluminum, and formaldehyde are ingredients in most vaccinations. How is it possible that they are safe? The answer depends upon who is injecting them. If you or I inject our child with mercury or formaldehyde, we are going to jail. But if a pharmaceutical company and a doctor inject the same toxic poisons, then they are perfectly safe. What’s wrong with this picture? Unfortunately, most Americans follow the masses, believe what we’re told, don’t ask questions, and place blind faith in our doctors. In the 1970s, only 1 child in 10,000 was autistic. In the 1990s, there was a “stepped-up vaccine schedule” where the amount of thimerosal was drastically increased in most childhood vaccines, including the MMR and DPT. Now, in the year 2009, autism affects 1 in 67 children! It is a well-established fact that exposure to mercury can cause immune, sensory, neurological, motor, and behavioral dysfunctions – all similar to traits defining, or associated with, autism. My cousin’s second boy is autistic and he first showed autistic behavior less than 24 hours after receiving the MMR vaccine. The evidence linking vaccines to autism is overwhelming. Interestingly, in March of 2008, the U.S. government conceded that childhood vaccines were responsible for the autism in 9-year-old Hannah Poling. This unprecedented concession was in response to one of three test cases that allege thimerosal caused autism in children. I am no longer “trying to dig up evidence to prove” vaccines cause autism. There is already abundant evidence…. This debate is not scientific but political. I know we were all taught to blindly trust our doctors, but the fact is that they no longer deserve that trust. Physicians take an oath to “First, do no harm,” but today, what gets injected into your child is being decided not by physicians but by multinational pharmaceutical companies which have a financial incentive to sell as many vaccines as possible. Only by keeping people in the dark can they continue their absurd profiteering from the vaccine industry. We assume that because vaccines are mandated by US law that the government is verifying their safety and effectiveness. Nothing could be further from the truth. Every day, millions of children are lined up and injected with toxic, putrid substances called vaccines. Before they begin first grade, children can get as many as 36 vaccines! There are about 200 more vaccines in the pipeline. Scenarios for the future even include consuming vaccines in nose sprays, ointments and fruits and vegetables. This “Vaccine Obsession” has gone beyond what anyone can possibly defend on scientific grounds. Pumping more vaccines into our precious children borders on the criminal. I am not a doctor. The article above is for educational purposes only. It is not intended as a substitute for the diagnosis, treatment, or advice of a qualified, licensed medical professional. The facts presented in the following pages are offered as information only, not medical advice, and in no way should anyone infer that I am practicing medicine. My statements regarding alternative treatments for cancer have not been evaluated by the FDA. Actually when my sister-in-law made a decision to vaccinate her younger son who’s more than a year old at that time, I wanted to prevent her but I could not because i was afraid of her negative impression. I’ve read a lot of articles pertaining to vaccination danger and that’s why I am concern about this. I’ve been able to survive without vaccination at all. When I was a grade schooler, I skipped from the class which performed vaccination because I was threatened when I looked at kids who were crying when injected so I decided to skip than experience the same. Hope this could be an eye-opener for everybody. As I see it, vaccination is all about business than being concerned of the health of the public. I feel sorry for you. Not enough to try and change your minds but I do care about my future. Leaving people unvaccinated would give virusses that have nearly been eradicated a chance to mutate and spread again. If you choose not to get vaccinated please avoid other people and don’t blame your governments health care system if they do not want to take care of you because of your own error. I feel sorry for you Orion. 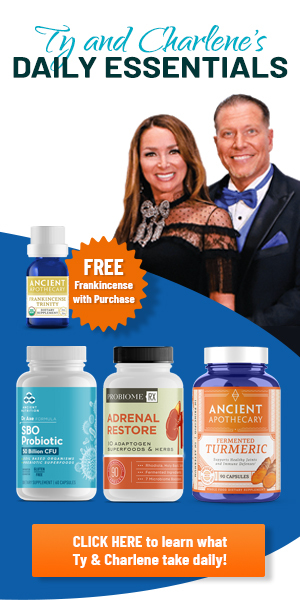 They are using your “fear to survive” instincts to sell their products to you so that because of these poisonous substances (which decreases immunity and interferes with the system), your body will be surrounded by diseases for the rest of your life and you will keep going to them for these secondary diseases and fill their pockets. So, rather than commenting out of fear or spreading lies atleast give details about how these vaccines are made, why should we use them and what they do after they are inserted in the body (basically what the above post is all about). Nowadays Most of the medical research is being carried out by pharmaceutical companies, which are just profit driven so when they come up with some medicine they don’t care about its side effects and then it takes several decades to identify the cause. So please think hundred times when you put unknown chemicals in your body. Surely if a child’s been vaccinated you shoukdn’t be concerned that they’ll catch a virus or disease from anyone? If you are concerned then you must doubt the efficacy of vaccines? Orion, fortunately I learned about the dangers of vaccines back in the late 70’s. Therefore, I never had my daughters vaccinated. As a result, they NEVER got sick and never had to see a doctor. So, they never had to have any “synthetic drugs” put into their bodies. Just follow the money…including the garbage that is put into the processed foods, the horrible chemicals in tap water and the crap they are spraying in our skies. I would suggest that anyone who has children do their due diligence and research the damage that vaccines have done to so many and the coverups! It doesn’t take a real high IQ to read the ingredients in vaccines to figure out the dangers. So untrue. You have a natural vaccination center called the immune system and it works perfect without injecting the body with a primordial cocktail of junk science. Insanity trying to fool the body that it is sick. I shake my head at the lemmings out there willing to trust the CDC, which has already proven to be dishonest on numerous occasion with their misinformation and fear mongering. Wake up sheep!!! Vaccine poison is a fraud and a total failure. I know because I have seen as a 25 year professional healthcare PA. I am amazed at how conditioned people can be to believe just about anything.. But as it was understood in Nazi Germany….”if you tell a lie often enough, it gradually becomes the truth to the public although still a lie”. The general public loves to give credit to vaccinations for the incredible decline in small pox, polio, measles, tetanus, and the list goes on. 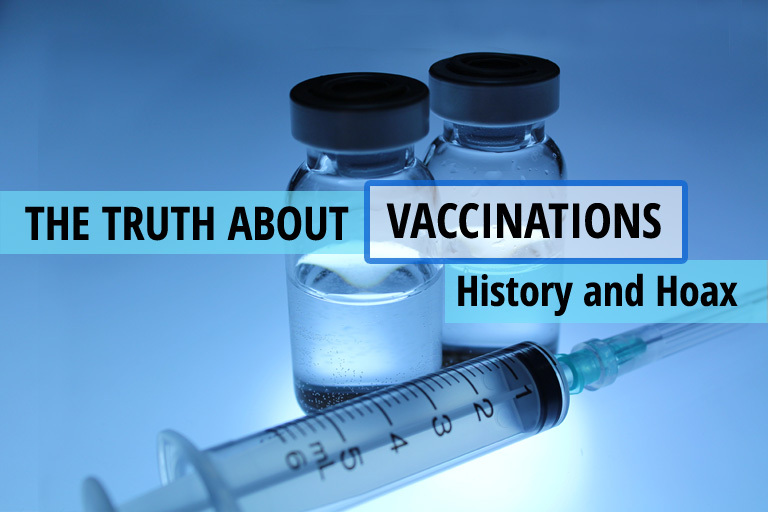 However if one does a little research, then it becomes apparent that the diseases mentioned above were already in a sharp decline “before” the vaccinations, and that sanitary conditions and diet in all probability caused the declines not vaccinations. Nor is the number and severity of the adverse reactions to the vaccines ever mentioned. Nor is it mentioned that there was a time that the small pox vaccine itself was suspected of causing aids. Don’t believe me….research it…you will be amazed. If anyone doubts what is said here, that is unfortunate. So take a couple of hours and go see the movie VAXXED. It is eye opening and will forever change how you feel about the CDC and our government! God is also engrained , just like vaccinations . How can the critical thinking person get behind mixed messages . Credibility waivers , when gods intwined in the age of information ! I have a question about traveling. How can you handle traveling in and out of other countries without updated vaccination records? My husband is looking at taking a new job that would require international travel for missions. We have 4 children that are almost grown now. Each one has had some vaccination but never the full treatment as we did research and chose to stop. No one is “up to date.” Any suggestions of how to handle this if he takes the new job? But how do you not vaccinate your kids and send them to daycare, camp and school in the U.S.? Look on this website it will tell you by state how you can get around this challenge. I got a religious exemption form from our local health department for my child. Vaccines are not law and any child can get this exemption, which daycares and schools must accept. My babygirl is covered until she is 18yrs. In most states you can get an exemption for philosophical or religious reasons. In this article you forgot to mention Andrew Wakefield, the doctor who discovered the vaccine-autism link and ended up losing his licence. As someone who has autism, I believe it was caused by vaccinations. Whenever I have children I will not have them vaccinated. If a massive amount of parents stopped taking their children for vaccinations in the future, and there’s no decrease in autism, then that’s when I will be convinced there is no link. There already have been large amounts of parents who have stopped vaccinating, and there has been no decrease in autism rates. The only rates that have changed, however, are those of infectious diseases like rubella and measles. Both diseases were virtually wiped out by the onset of the 1990s thanks to vaccines. Now thanks to the anti-vaxxer movement, they have come back in increasing numbers. The paper that started the false belief that vaccines and autism are linked has long since been discredited, and the author himself admitted that he made it up. We believe that vaccinations should not be forced onto people. Everyone should have a choice of what goes into their bodies and the bodies of their children. With proper knowledge and guidance people can be taught to live healthy lives, but should not be told they MUST vaccinate. So many people we personally know and so many cases of children or adults have had vaccine injuries. It’s not only about autism. It’s about so much more than just that. The fact is that people cannot know what comes after that syringe as not all bodies are the same. Freedom of choice (along with unbiased education) should never be taken away from people. Thanks again for sharing your thoughts on this with us. Wishing you blessings and love! Children with MTHFR genetic mutations who cannot detoxify well are more at risk for autism than children without these mutations. Also Dr. Wakefield was not the only author of the paper in the Lancet, and his co-authors have been cleared. I saw VAXXED and heard Dr. Wakefield and I strongly suggest that everyone see the film! Interesting how you use mortality graphs to show incidence! It’s the mortality from these diseases that’s important. Most of these diseases were innocuous at best and most people survived them. Vaccines on the other hand cause more lifelong health problems, and lifelong customers/patients for the medical establishment, that the pharmaceutical companies will admit. I have traveled abroad and I have never been vaccinated, I think it depends on the country. When ever I see things that are not validated by the FDA I know for certain they are products to buy with confidence ,because if the FDA says we have validated this product as safe to take ,never ever buy it because as every one will know with true verifiable information from Ty and Mike Adams and many others the FDA is big pharma’s protector for the money go round and it is only big bucks the FDA/CDC/AMA/FSA/WHO are interested in and they are not one bit interested in your health but keeping you ill on the money go round. And the days have gone that you take full notice of what your doctor says many only take note of what big pharma data lies tell them…..do your own research there is all the information you require on the web by genuine Doctors and research whistle blowers that have had enough of bid pharms false trials and lies and passed as safe by the cartel above. Amen Dave!! Seriously people pleaseeee do your own research, it is absurd that money comes before our health in this country and our precious little babies BUT IT DOES! I pray trump does something about this but as parents it’s up to you to refuse to inject your children with child abuse drugs ! Please see the movie, find a group, do your research. Do something other than go in the line of cattle to get shot up and messed up while ‘they’ get rich!! How do you avoid vaccinations in Canada? They no longer accept the religious belief letter because many people have gone that route to avoid vaccination because there was no other way around it. I also live in Canada. Both of my kids were born in Canada and never had a single vaccine shot. There is some pressure in urgent cares or at check-ups with pediatrician, but overall we have no problems with doctors or schools about it. Both of my boys are healthy. They’ll be healthy until they suddenly contract an infectious disease and die. I think it is absolutely amazing that this rhetoric happens. I only hope that the people who do not vaccinate their children aren’t met with tragedy by their selfish uneducated conspiracy theory crap. Thankfully you can keep your children out of public school systems without. I honestly am wondering what the less fortunate people of Africa are thinking while they sit and die from these issues daily that some and thankfully not many don’t partake in? I suppose this article references the changes in autism and it’s diagnosis’ over the years? There’s how many levels of autism now? It’s easy to add things to your agenda when bias however the full picture tells us that we know nothing at all about autism and this is the most important part. Thankfully when your child becomes I’ll by recklessly not vaccinating and potentially dies the disease won’t be spread to my child who is vaccinated oh and without any problems like millions and millions of others. The main issue in this country is the fact that 90% of the population have been fully brainwashed to the point that you cannot enlighten them. Where in the Bible did the LORD commanded the use of vaccines? The answer is nowhere, but this generation believe more in men than the Most High. These vaccines are nothing else than wicked inventions to kill more people and all your witch doctors are down with this depopulation agenda because they get commission for pushing for these vaccines. Don’t you know that your pharmaceuticals and doctors are the number one drug cartel in the world instead of the Mexicans and Colombians. Wake up, and stop following the masses. People lived on this Earth for more than 4000 years without your deadly vaccines. My grandmothers and grandfathers lived for more than 100years without vaccines and shot. How can mixed chemicals protect you from diseases? It makes no sense. All these diseases are man made whether you believe or not. Read Hosea 4:6. Did not the Most High said: “Keep my commandments and live.” Search for the etymology of the word pharmacy which is originally Greek to signify sorcery. In conclusion, be aware that vaccines are deadly poison and money driving industry, and that most of your health doctors and nurses have been trained to seduce you with semantics. If you fall for one, you will fall for all. Do not expect them to tell you the truth because they make good money from that wickedness. Some of them don’t even know what they’re talking about because they are simply institution slaves. Mr Bollinger, could you please provide more sources for your claims, e.g. in a revised version of this article? I understand that vaccines don’t come from God, and doctors don’t want children to go unvaccinated, but at what point does putting something unknown in your body evil? I mean, does it do more than autism? How much suffering and death could it cause compared to other things people put in their bodies like alcohol and tobacco? Jesus MADE wine in his day (from water), and alcohol directly affects you ability to think, like autism. Smoking makes it hard to breathe and causes lung cancer. Does vaccines do something worse that I’m not aware of or are all these things on the same list of things not to put in our bodies.